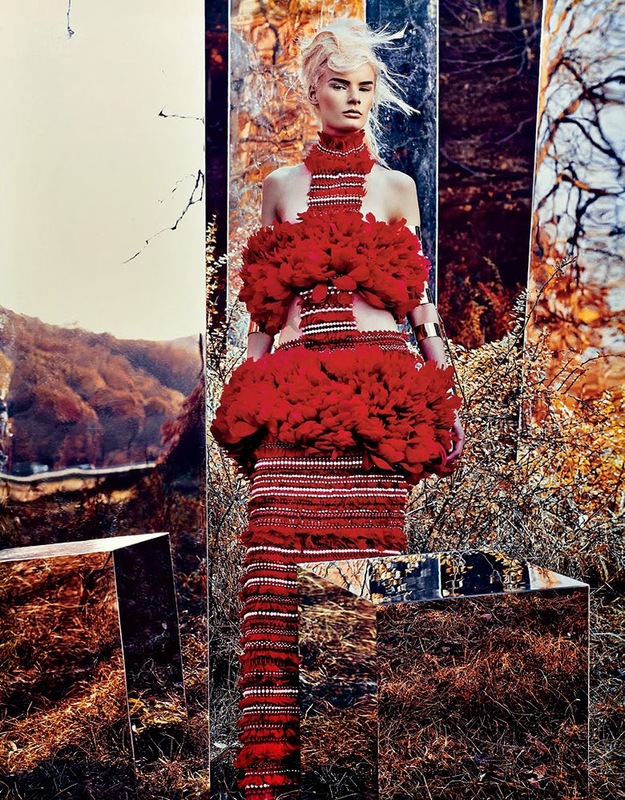 A fashionable field is captured by Craig McDean for the February 2014 issue of W Magazine. 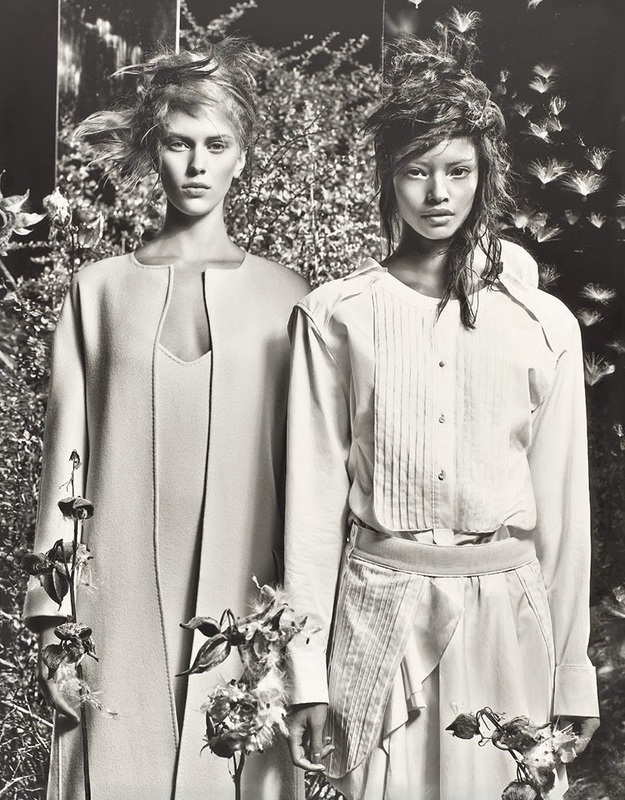 Some of the most extraordinary items of the Spring/Summer 2014 collections are portrayed by the iconic photographer Craig McDean throughout the spread in W Magazine. 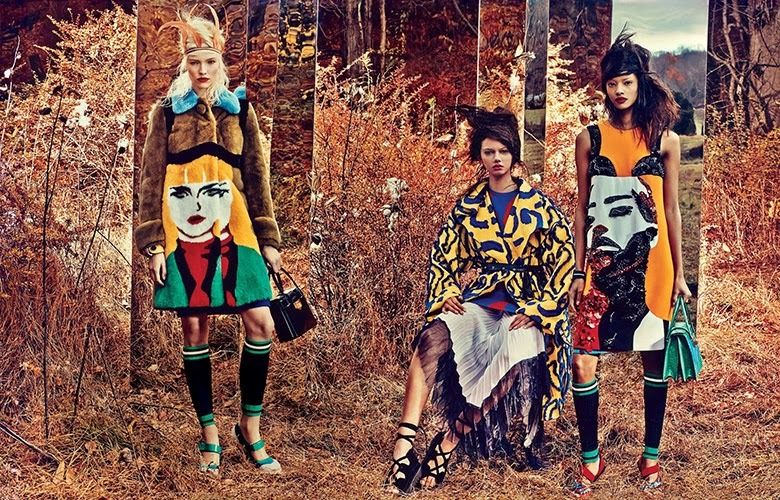 Playful platforms, colorful patterns and embellished gowns, stylist Edward Enninful hasn’t hold back when he visualized the incredible wardrobe chosen for McDean’s "Field Day" editorial. The models are all working individual and innovative hair do’s created by hair stylist James Pecis while matching it up with make-up artist Peter Philips’ brilliant touches. 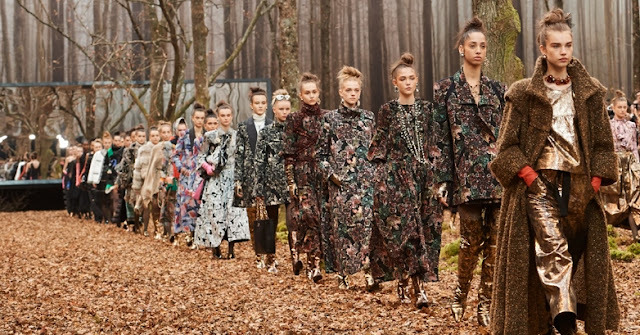 Set among natural elements as trees and grass, photographer Craig McDean has enhanced nature’s colors and complimented its beauty with luxurious garments and fulfilled the photographs with his incredible eye for visual artistry.